Here’s a gem from 1973. 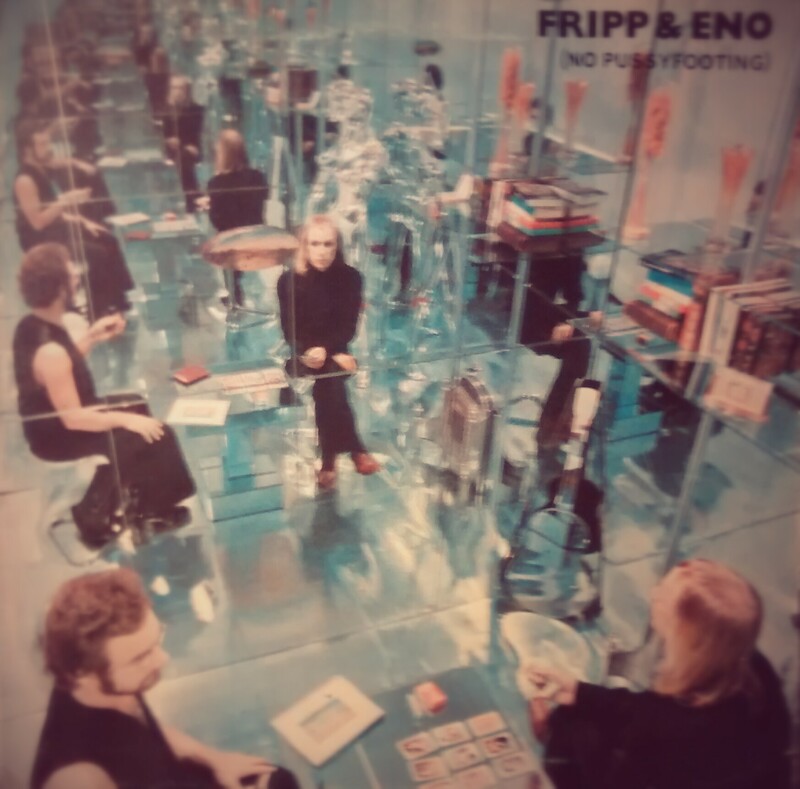 Robert Fripp of King Crimson and Brian Eno of, well, a lot of things come together on what must be one of the more early ambient efforts to spring out of 1970s psy/prog-rock. So let’s not even call it psy or prog rock (of course, it was Eno who coined the term ambient music in 1978). So here we have two popular musicians of the early ’70s coming together for a rather experimental album. Eno was just coming out of his stint with Roxy Music and Fripp was in a relatively less-active period with King Crimson. Each side of Pussyfooting is one long track. Side ‘A’ are recordings of Fripp’s guitar playing recorded, manipulated, and looped with Revox A77 reel-to-reel tape by Eno with Fripp then recording over it again with guitar overdubs. Side ‘B’ is much of the same but also uses a VCS 3 synth. This album wasn’t well received at the time. In retrospect, it has been praised, but mostly in light of his and other musicians’ use of experimentation to allow ‘ambient music’ a place of its own within the pantheon of genres to emerge and continue to thrive over the past 40+ years of recorded history. Overall, yes, definitely grab a copy of this one if you get a chance.